We are making the following guides and resources available free of charge to help our clients and travelers stay safe, and make better (informed) decisions. We hope these materials will help you have an enjoyable experience overseas. 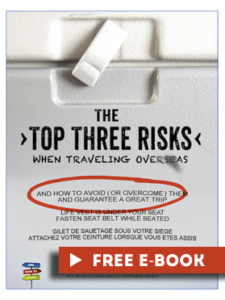 Do you know The Top Three Risks you face when traveling overseas? This helpful sometimes humorous guide will give you pointers and tips to statying safe and traveling as well as help you avoid the most common errors those traveling overseas make. Available in .pdf format only. 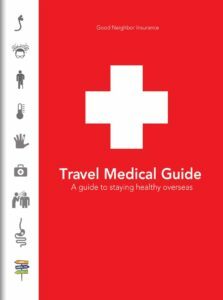 Free 60 page guide on travel medicine/medical concerns incl. latest on Zika and other outbreaks. One more way Good Neighbor Insurance is helping travelers and expatriates travel safer and travel smarter. 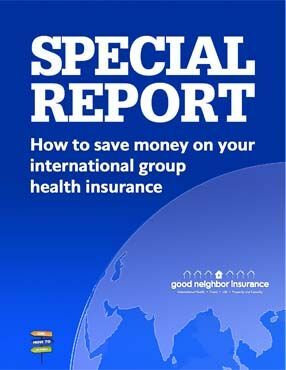 Save money on your international group health insurance with these advanced techniques for international businesses and non-profit agencies with staff living overseas. This exclusive content on how to save on your international group health insurance premiums was written for groups with employees overseas and with some knowledge of insurance, underwriting and how insurance carriers work.